We're constantly looking for ways to make our platform simpler, easier, faster and more powerful for you. A big part of that has been our recent initiative to turn many of our "back end" tools into user-friendly, forward-facing tools for you to use on a self-serve basis. 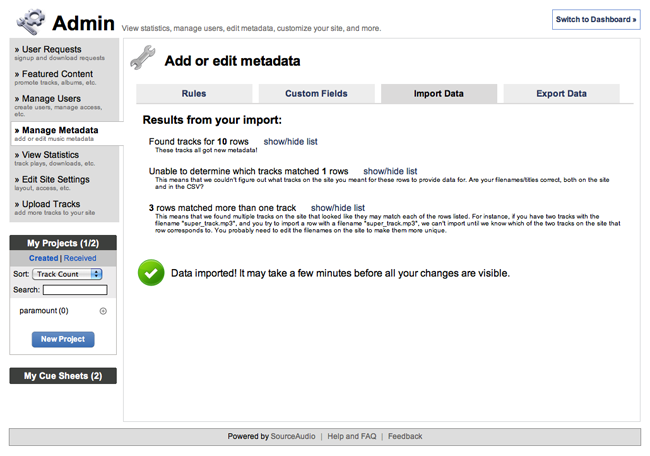 We launched the track upload tool several weeks ago and now we're proud to announce the metadata spreadsheet upload tool! 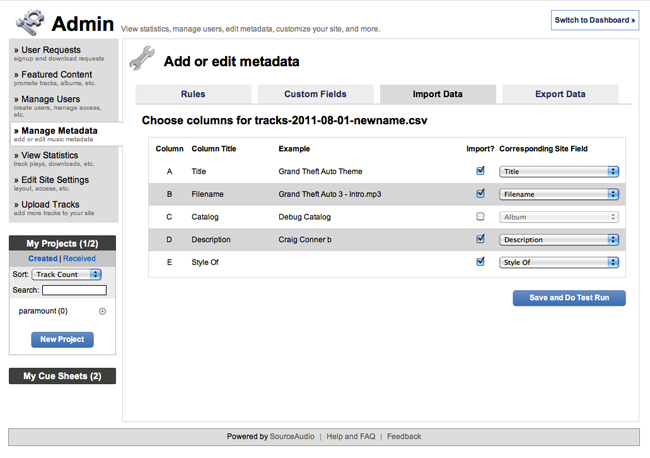 This easy-to-use, powerful tool allows you to back up your existing metadata, upload new metadata, match it up to all of your fields and tracks, and publish it to your site all in just a couple of simple steps. Let us take you through a brief step-by-step tutorial. 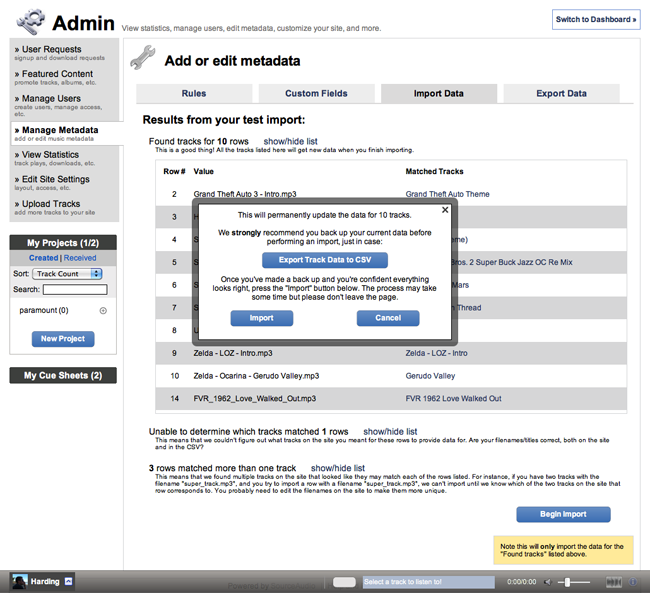 Login with your admin account and go to: Admin Tools > Manage Metadata > Import Data. Use the button on the right to Browse to find the .csv file you created in Step 1, and click "Upload". The tool will interpret your .csv and display to you the fields, field titles, and an example value from the spreadsheet so you know exactly which field your working with in each row. To import a field, simply click the "Import?" box that corresponds to it. Then, tell the uploader where it goes. Most of the time you'll be performing basic mapping like matching the Title from the spreadsheet to the Title on the site but if you need to do something special like put all genre values from the spreadsheet into a new field on the site you've called "Categories", you can do that right here too. Once you've made your selections, click "Save and Do Test Run". This step allows you see the results of your upcoming import before you commit to importing anything. You can see what matched up, what didn't match up (remember, filenames are critical for matching), and how many duplicates you had if any. With this info you can go back to your spreadsheet and make the necessary changes in order to match everything up perfectly. Or if there aren't too many issues to work out you can just proceed with the import and then make the last few changes on your site through the metadata editing tools. Once you've checked out your import diagnostics in this step, click "Begin Import". This step is critical and it's also very simple. Before you proceed with overwriting a ton of metadata, download a full snapshot of your metadata for backup purposes. It's nice to have this in case you make any mistakes and want to revert to the metadata you had before. We make this very easy by putting a little messaging overlay on top of your window before you proceed that reminds you to backup your metadata. 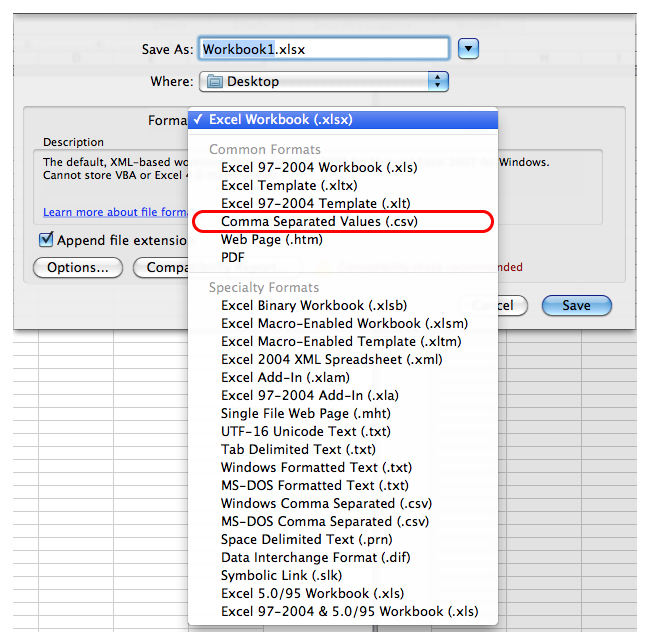 Click the "Export Track Data to CSV" button and a copy will be downloaded to your computer immediately. Once you've backed up, click "Import" and your metadata import will begin. In this step there's nothing for you to do but determine the status of the import. 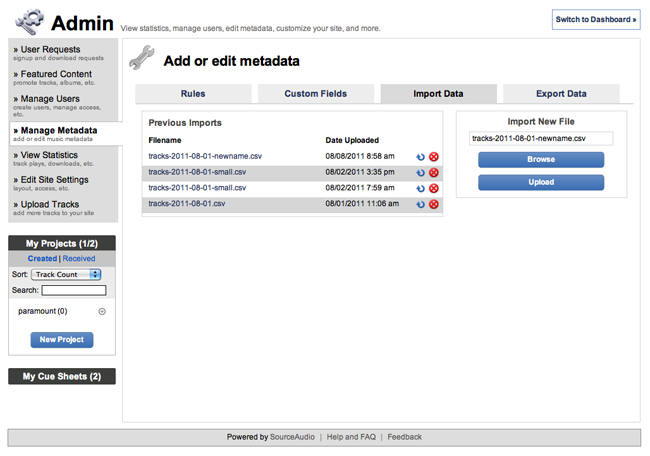 Importing a lot of metadata can take several minutes so be patient and don't leave the page. Once it's done you'll get a confirmation message at the bottom of your page letting you know the import was successful and you're all set! So there you have it. 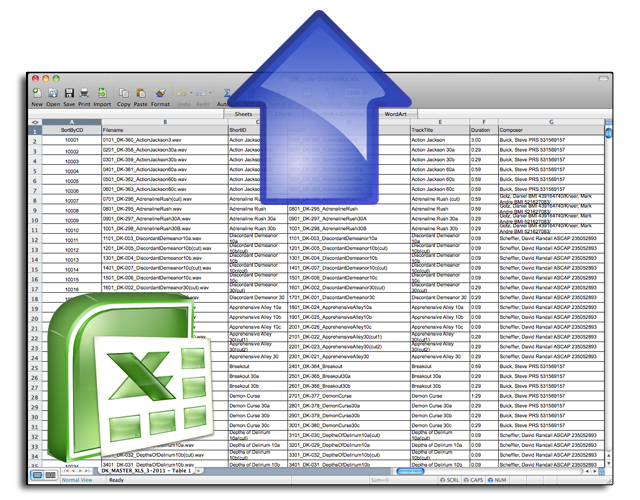 6 simple steps to uploading your own spreadsheets. 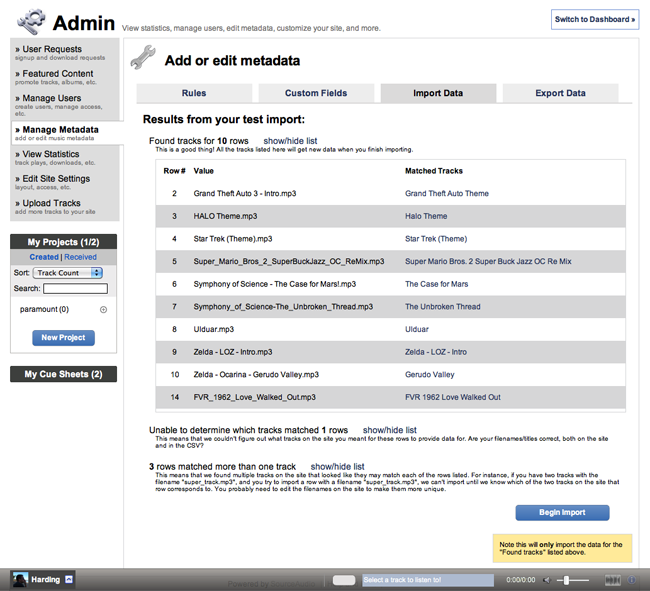 Now you have all of the metadata management tools & power at your own fingertips! Please reach out if you have any questions on how to use this new feature and as always, enjoy!